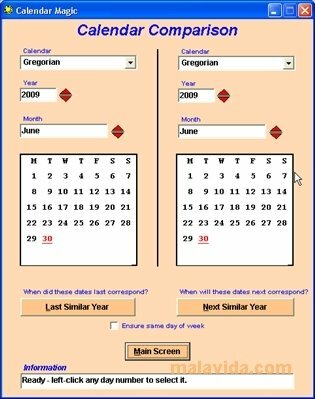 The calendar that we use is the Gregorian Calendar, which is the international standard calendar, and was established in 1582 by Pope Gregory XIII. Nevertheless, during history and depending on the different geographical region, there have been many more calendars. Nearly as many as there have been different cultures and religions. 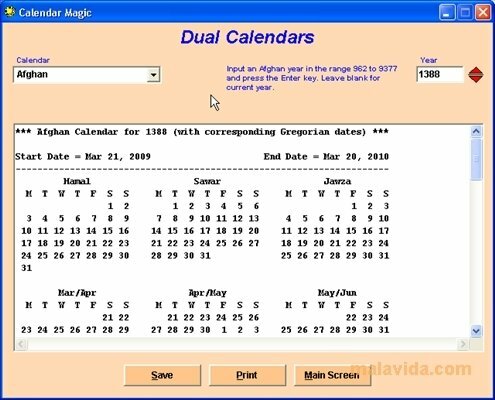 Calendar Magic is, as well as practical, entertaining, informative and educational. 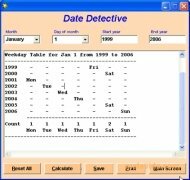 It includes the data of up to 25 different calendars, among which we will find the Gregorian Calendar, the Hebrew Calendar, French Revolutionary calendar, the Ethiopic, the different Islamic calendars, the Coptic and the Hindu (Solar and three Lunisolar), among others. 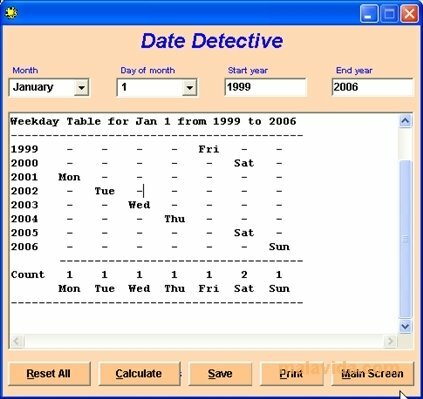 Offers views and correlations between the different calendars, so that we can find out which data corresponds with each date or establish temporary equivalence. 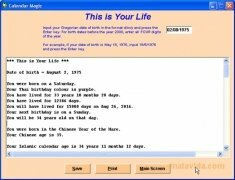 Among the list of amazing functions that it includes, we will find tools like "This is Your Life", that provides data about the zodiac sign, and the date of birth depending on various cultures and religions. A program that is ideal for those that are interested in other cultures like history teachers, and also those that are interested in astrology.